- Hermes style design, stylish and luxurious! - Designed to give your Apple Watch a classic, yet bold new look. 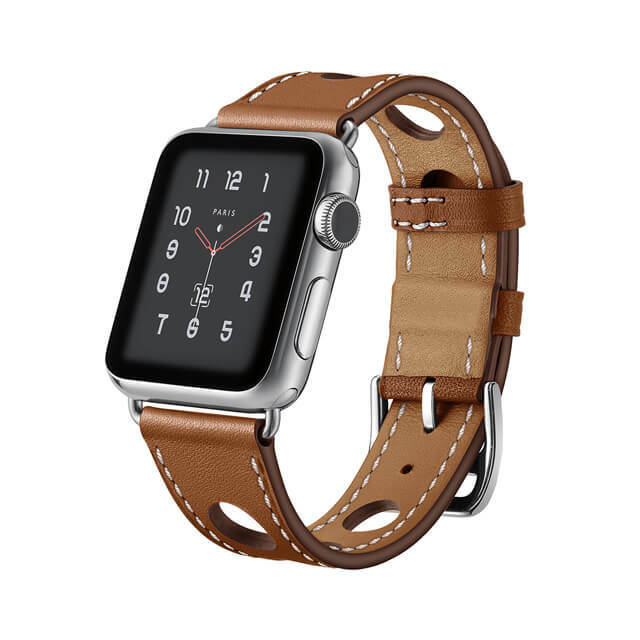 - 100% Genuine Leather, Crafted from genuine cowhide leather, retro appearance personalize your Apple Watch. 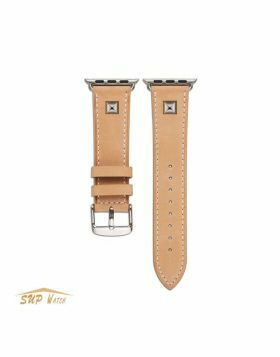 This Leather Bands are the perfect elegant replacement band for your Apple Watch.The finest craftsmanship and relentless attention to detail makes our Leather Watch Bands, the top-of-the-line accessory to elevate your look and feel. 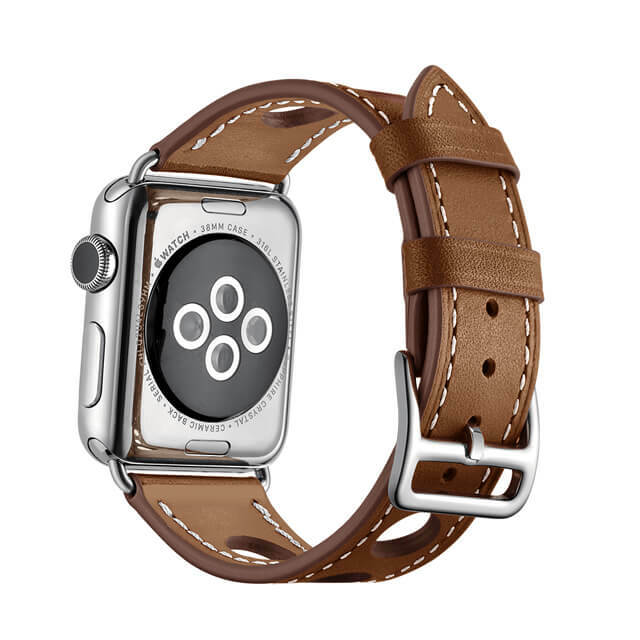 - The leather is designed to beautifully patina with time, creating a handsome, rich leather strap with a look that is uniquely yours. - CLASSIC BUCKLE: The buckle is made of solid stainless steel, also the clasp pin is enough stable and long, never worry about the middle pin in the buckle disengages easily. Secure your watch with impeccable yet unpretentious style. 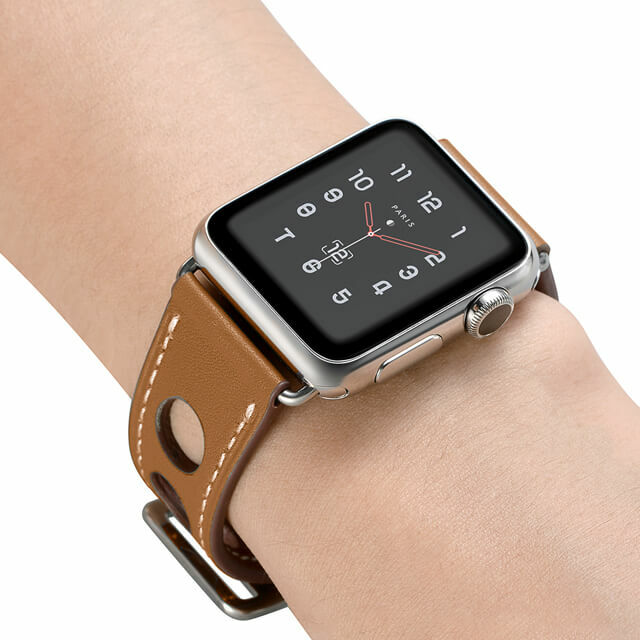 - The cool leather band comes with Apple Watch Lugs on both ends, which locks onto Apple Watch Interface precisely and securely, easy to install or remove. 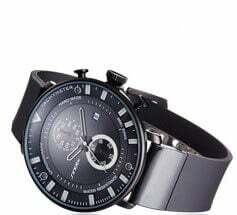 - Fit Size: Fits 6.3"-7.9" (160mm-200mm) wrist, it can be men's or women's, comfortable touch feeling on your wrist, simple but attractive, look fantastic and giving a nice professional look on any occasion. 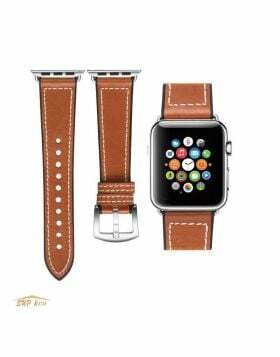 - Personalize your Apple Watch with this refined strap compared to apple ones, but much less price. - Apple Watch™ is a trademark of Apple Inc.